The traditional wedding ceremony of CNN Hero Marie Da Silva and her beloved Luc Deschamps will take place on Saturday. Among the honored guests will be Carolyn LeCroy, our founder and Marie’s fellow CNN Hero. The President of Malawi, Dr. Joyce Banda, and her Cabinet members will also attend. The President has put up celebratory flags around the Jacaranda School for Orphans in Malawi in preparation. The U.S. 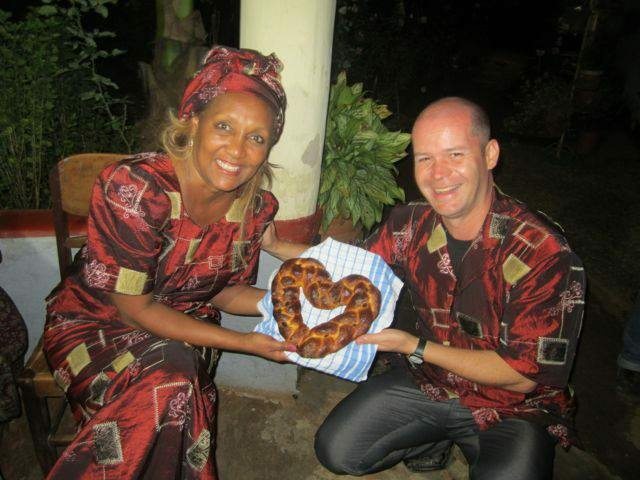 Ambassador to Malawi, Jeanine E. Jackson, plans to enjoy the festivities, as does the French Ambassador to Malawi. Other callers to the ceremony will include 50 village chiefs from around the country and many other distinguished guests. This is truly an observance of love and unity for Marie and Luc, and we are humbled by the invitation to take part. Saturday will commemorate a wonderful moment in the history of Malawi and for those who have been touched by these two loving individuals. Congratulations to Marie and Luc!